Product code: W318cc Categories: Sold Items, Sold Watches. 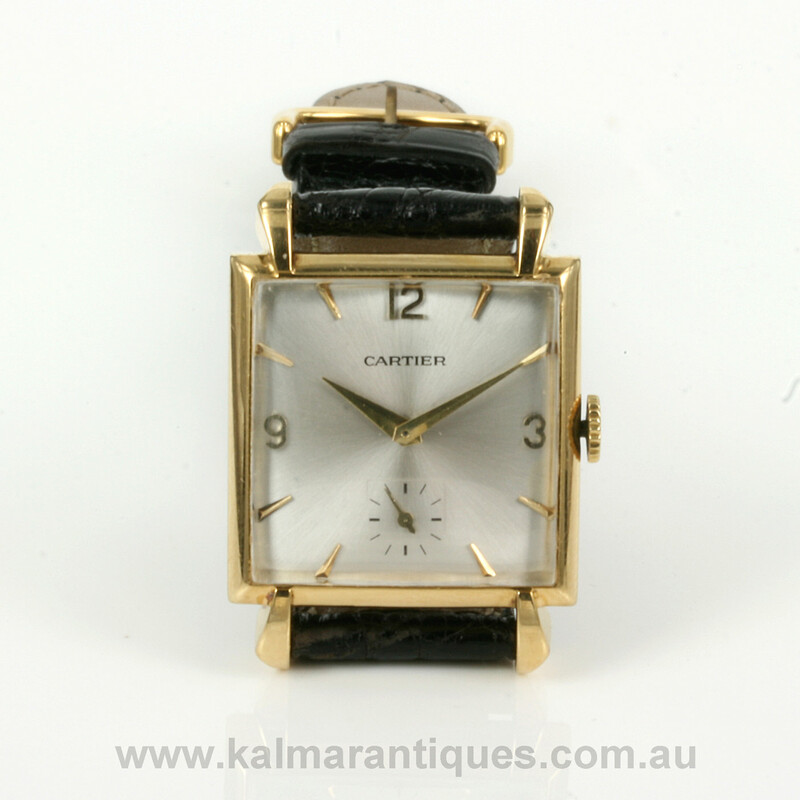 Starting in 1847 Cartier has made a name for itself worldwide as one of the most important watch and jewellery manufactures and here we are very proud to have on offer a vintage Cartier Tank watch dating from the 1930’s. The Cartier Tank watch was first produced in 1917 and this is the earliest Cartier Tank watch that we have ever had on offer. Made in 18ct yellow gold, the case displays the most elegant flared lugs very typical of this era. Measuring 25mm by 25mm plus the crown or 35mm from the end of each lug to the other, this watch has all the class and elegance you would expect from Cartier from this time. Inside it is powered by a 15 jewelled manual wind movement signed ‘European Watch and Clock Co”. 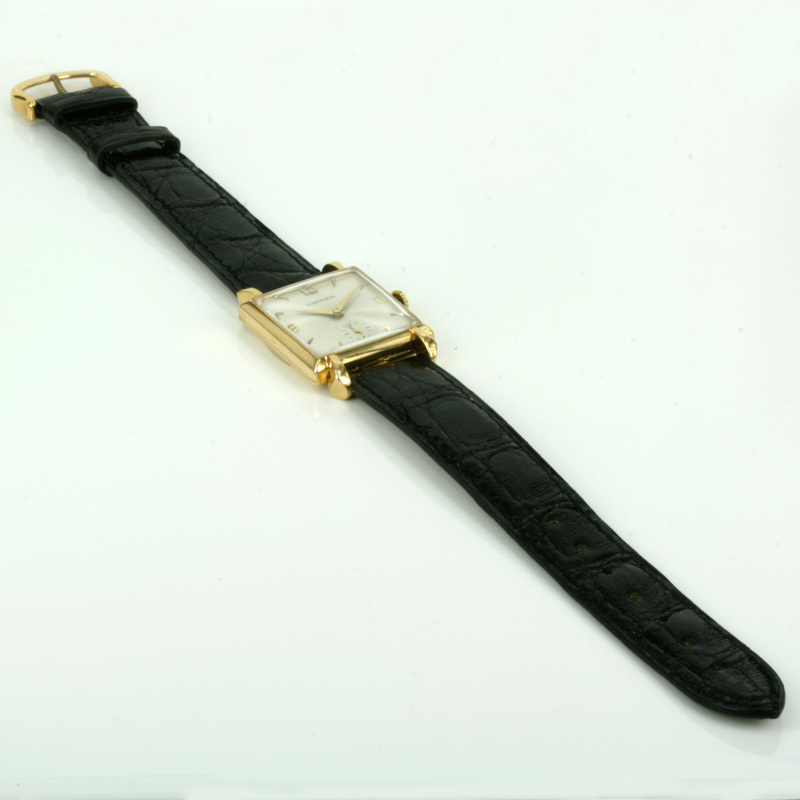 This company was formed by Cartier and Edward Jaeger – of Jaeger LeCoultre and continued to produce incredibly high quality movements as you would expect and of course this Cartier watch comes with our 12 month warranty. 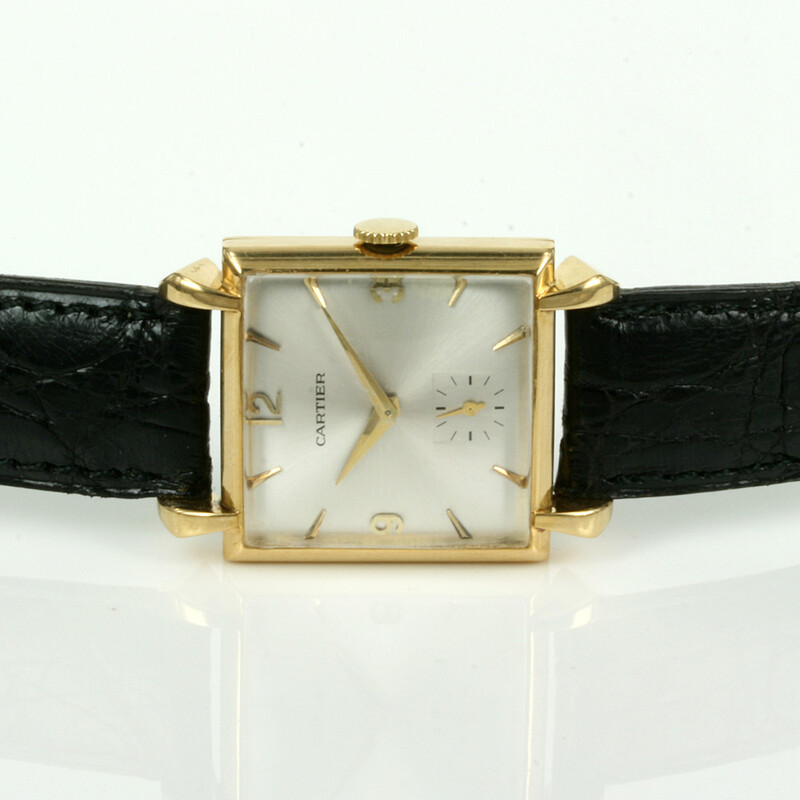 This is one of the most elegant, sophisticated and beautiful vintage Cartier watches from the 1930’s and one that would be treasured and loved to be worn by anyone who appreciates fine quality.